I had such a good weekend with my Mama and sisters shopping our local vintage/antique shops. Then, I came home and opened this beauty. 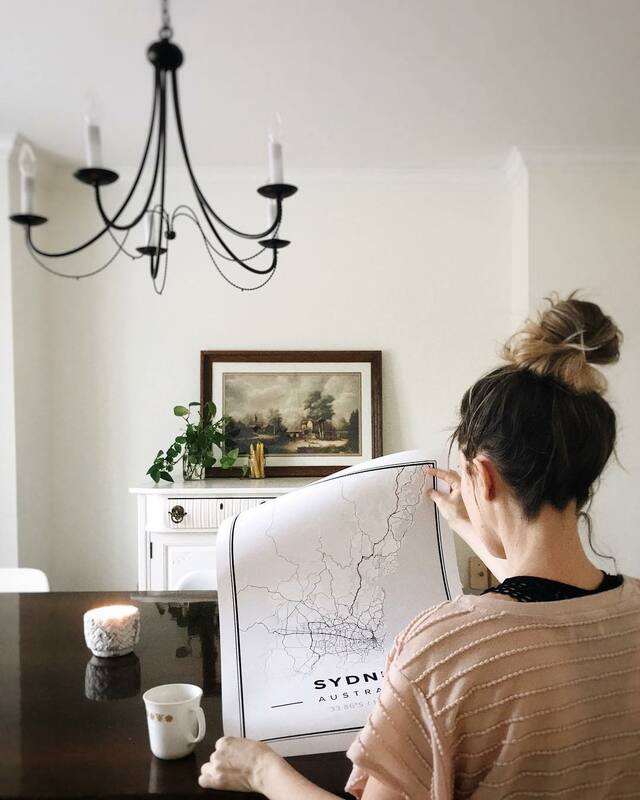 I had a map of Sydney printed for our dining room. I used to sit and listen to my Grandad recount how his naval ship would dock on the coast of Australia, and he would always go to a local library to read. I used to sit and listen to my Grandad recount how his naval ship would dock on the coast of Australia, and he would always go to a local library to read. Throughout my entire childhood, any time I would go to visit him, he was always reading. At the library, there was always the same librarian there. He thought she was stunning and so he asked her on a date. Eventually, he would bring her to America and marry her. This map from Mapiful will always remind me of that sweet love story.